Home / Irish News / Unveiling of monument for Miscarriages of Ireland association. Unveiling of monument for Miscarriages of Ireland association. 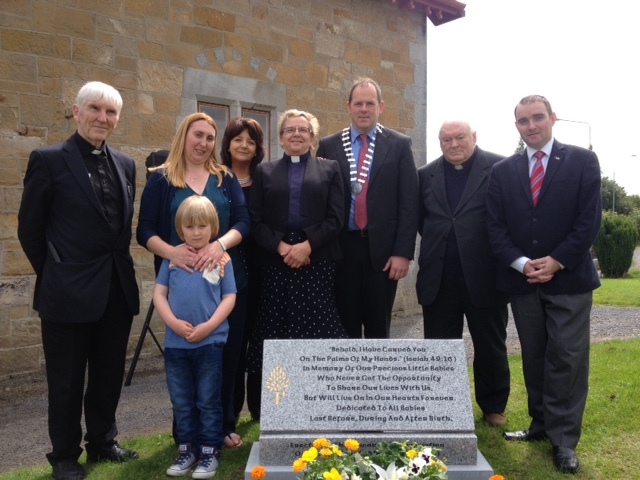 The unveiling of a monument by miscarriages of Ireland Association was held in St Patrick's Cemetery, Clonmel. Celebrant of prayers was fr Peter Ahearne. Also present was deputy Mayor Cllr Andy Moloney representing Mayor Pat English, cllr Martin Lonergan, fr Crean, Fethard Abbey, Rev Barbara Fryday, Joanne Hickey, local representative and June o Toole from Miscarriage of Ireland Association.